Silver Dolphin Books, 9781684125210, 26pp. A special way to celebrate and remember your child’s early moments! 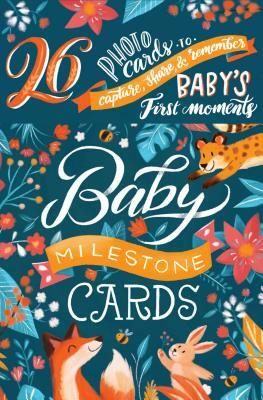 Baby Milestone Cards is a charming set of 26 illustrated cards that capture your child’s first weeks, months, and special moments. From your baby’s first outing to first steps, each adorably illustrated card can be placed with your child to photograph and document each early stage in your child’s life. Flip the cards over to write the date and details, and these cards will become keepsakes to document each special milestone.